For the third offering of the Diamond Supply Co. x The Beatles “Yellow Submarine” collaboration, Diamond Supply Co. takes a monochromatic approach on the group’s vibrant classic. 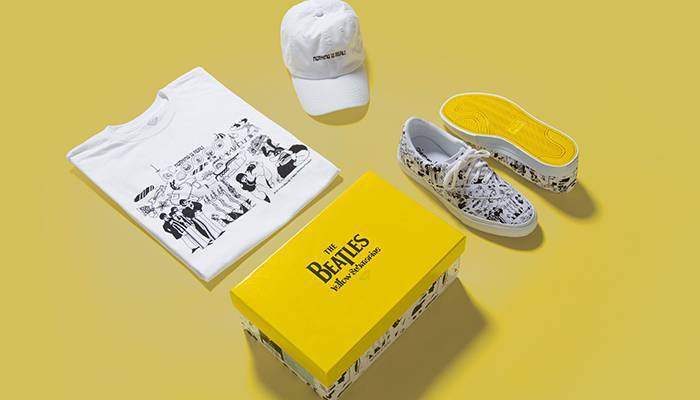 The limited edition capsule collection features a hat with the song line “Nothing Is Real,” as well as the Diamond Footwear silhouette the Avenue, and a t-shirt featuring a black-and-white take on the album’s colorful nostalgia. The collection is available now through the Diamond website.